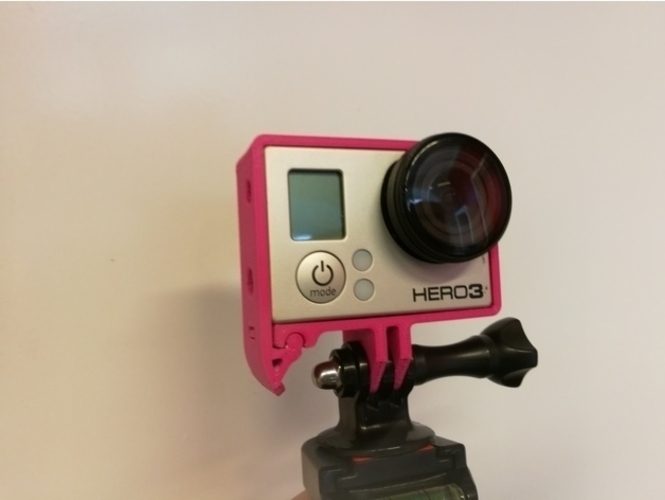 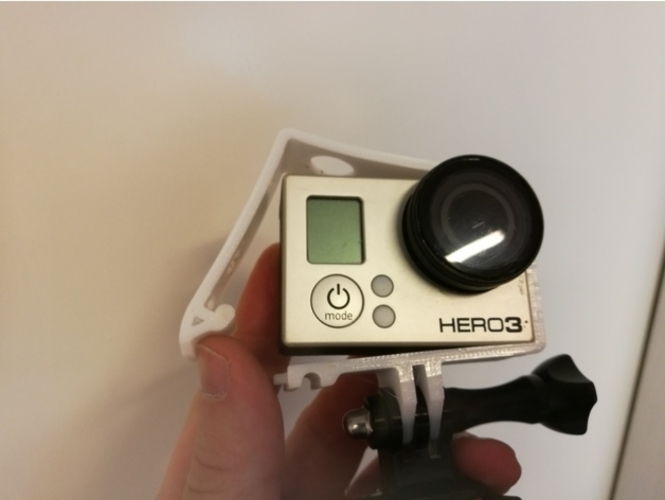 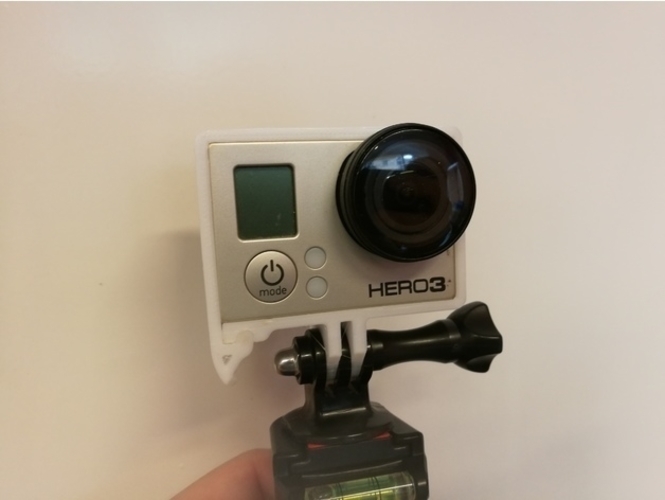 This is a 3Dprinted frame i use with my GoPro Hero3 but i´m sure it fits 3+ and 4 aswell. 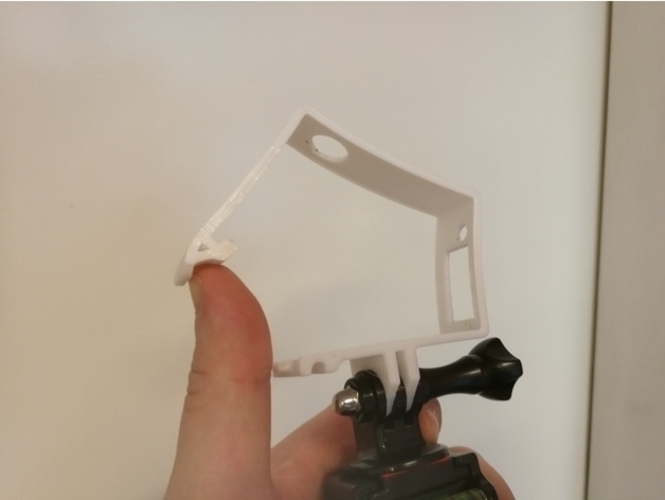 It can easily be opened and closed using a simple snap lock design. 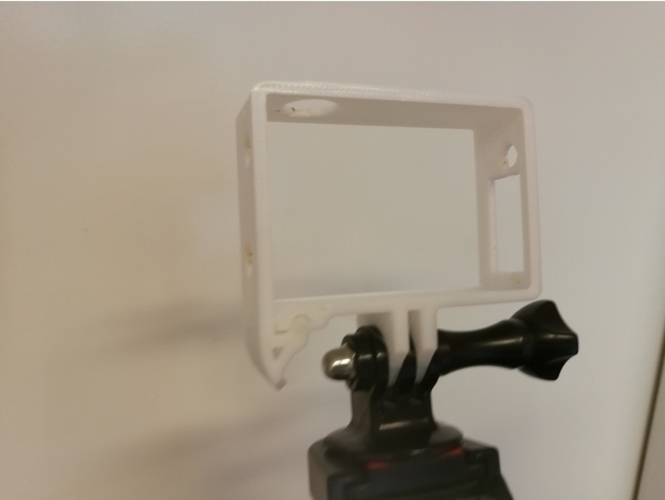 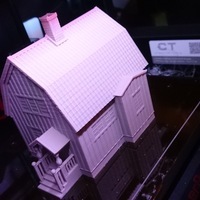 It needs to be printed in a somewhat flexible for the concept to work I have printed it in nGen from colorFabb which works and a pre-release PetG from Proto-Pasta. 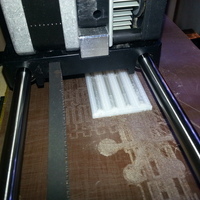 If you successfully print one in other materials let me know.